A clear, current, and comprehensive reference to the full range of estate planning issues in New Jersey. 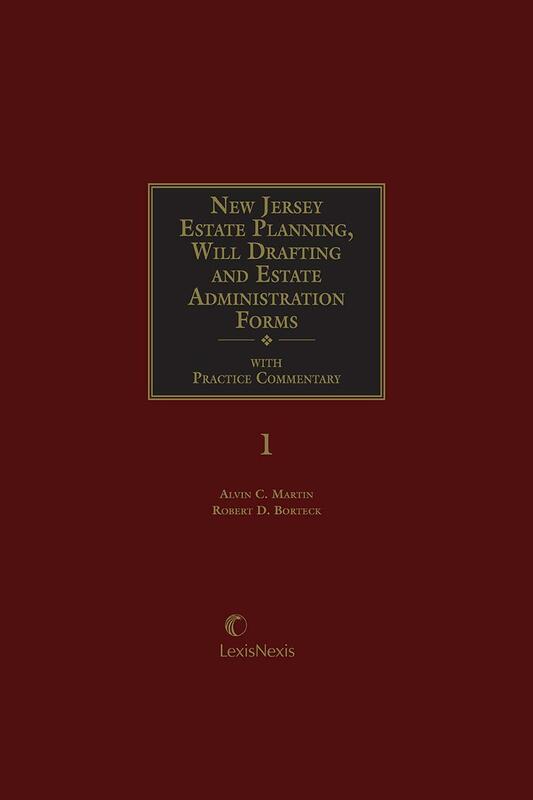 New Jersey Estate Planning, Will Drafting and Estate Administration Forms is a comprehensive manual that provides you with a clear, current, and comprehensive reference to the full range of estate planning issues. 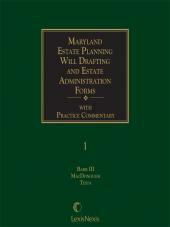 Compiled by experts in New Jersey estate planning law, this looseleaf-format, two-volume set contains comprehensive chapters on every major area of estate planning and administration. 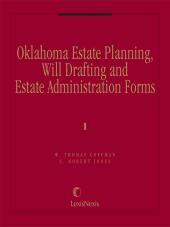 Part I covers Estate Planning and Will Drafting, while Part II discusses Estate Administration. To save valuable time, use the forms, alternate wordings, checklists for attorney and client, sample letters, and tax schedules; everything you need to plan and administer your client's estate precisely and thoroughly. Alvin C. Martin is an attorney with the law firm of Drinker, Biddle & Reath LLP, Florham Park, New Jersey. He has lectured at numerous tax seminars and continuing legal education programs, including programs of the New York University Annual Institute on Federal Taxation, New York University Institute on Federal Taxation Trust and Estate Program, the Federal Tax Forum, and the New Jersey Bar Association Section on Taxation. Richard D. Sanders is counsel in the Short Hills, New Jersey office of Edwards & Angell, LLP. His practice emphasizes trust and estate planning and administration. Mr. Sanders also has a considerable background in general business and tax planning for closely held corporations, limited liability companies and partnerships, including succession planning for interests in family operated entities. Mr. Sanders is a frequent lecturer to both private and public groups on a variety of estate planning and administration topics. He is an instructor for the New Jersey Institute for Continuing Legal Education, for whom he teaches a state-required course in will drafting and probate to attorneys newly admitted to the New Jersey Bar. Robert D. Borteck is a partner in the law firm of Short Hills, New Jersey office of Edwards & Angell, LLP. 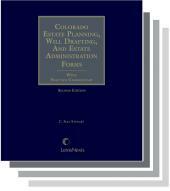 His practice concentrates in the areas of estate and tax planning as well as estate administration. Mr. Borteck is New Jersey State Chair of the American College of Trust and Estate Counsel. 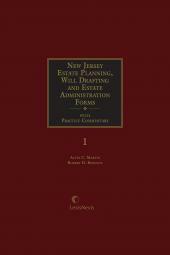 He has made frequent presentations on the subjects of estate planning, estate administration and taxation to corporate executives and professional associations including the New Jersey State Bar Association, The New Jersey Institute for Continuing Legal Education, National Business Institute, Essex County Bar Association, various estate planning councils, financial planning consultants, brokerage firms, and local cable television networks. Frederick K. Schoenbrodt, II is Of Counsel to the Private Client Group of Drinker Biddle & Reath, LLP and resident in the firm’s Florham Park and Princeton, New Jersey offices. Mr. Schoenbrodt focuses his practice on the law of wills, trusts and estates, domestic and international estate and tax planning, charitable planning and charitable organizations, and the litigation and mediation of disputes related to wills, trusts and estates. He is a frequent speaker on estate, trust and tax topics before a variety of professional associations.